Home > AMT Blog > What Do Your Music Choices Say About You? What Do Your Music Choices Say About You? Do you think it’s possible that your favorite music genres can give others an insight into your personality? Professor Adrian North of Heriot-Watt University, Edinburgh, UK, is an expert on music psychology. He has carried out extensive research on the social and applied psychology of music. In addition to his volumes of research, he is known for undertaking the largest study to date of musical tastes and personality type. The study focused particularly on the role of musical preference in everyday life. Over the course of three years, Professor North surveyed over 36,000 people in more than 60 countries. He asked them to rate a wide range of musical styles in order of preference and also used a questionnaire to gather information about aspects of their personality. The results showed some intriguing connections between music preference and personality. Below are the interesting findings of Professor North’s study. Do you see yourself in any of these? Fans of the blues showed a propensity towards high self-esteem. They also showed high scores for a creative and outgoing personality. People who preferred the Blues tended towards a more gentle and easy nature. People who preferred Jazz also tended towards having high self-esteem. They also showed creative and outgoing aspects of their personality and tended to have an easygoing nature. Respondents who showed a high preference for Classical music also showed high self-esteem and a creative personality. They tended to have an easygoing nature, but were often introverted instead of outgoing. Those who showed a preference for Rap also showed high self-esteem and tended towards an outgoing personality. Fans of Opera often had high self-esteem. They also showcased a creative personality and gentle nature. People who showed a high preference for Country also tended to be hardworking and had an outgoing personality. Fans of Reggae tended to have high self-esteem. They also tended to have a creative and outgoing personality. Often, they had a propensity to not be hardworking and maintain a gentle and easygoing nature. Fans who loved Dance music did not lean towards a gentle nature. They showed a creative and outgoing personality. People who showed a high preference for Indie music tended to have low self-esteem. They leaned towards creative personalities and tended not to be hardworking. They also tended not to qualify as having a gentle nature. Respondents who reported high preferences for Bollywood also tended to have a creative and outgoing personality. People who showed a higher preference for Rock/Heavy Metal music tended to have low self-esteem. They often showcased a tendency toward a creative personality and a gentle, easygoing nature. They did not tend to be hardworking or outgoing. Fans of Pop music tended to show high levels of self-esteem. They often showed tendencies to be hardworking with an outgoing personality. They tended to have a gentle nature, but did not tend to consider themselves highly creative or relaxed. People who preferred Soul tended to have high self-esteem. They also often showcase a creative and outgoing personality with a gentle, easygoing nature. 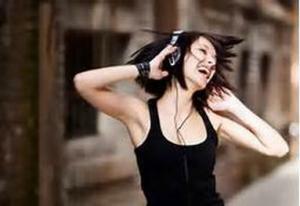 Whatever style of music fits your personality, just keep listening and enjoying!